The Mitsuba Group offers pleasure and peace of mind to customers worldwide and contributes to creating a spiritually rich society. Mitsuba will contribute to society through providing value to people all around the world, not to mention our direct clients, in our expanding realm of business. The value we deliver is “pleasure and peace of mind,” which follows safety, comfort, and convenience. This value forms not only a foundation upon which we create our vehicle system designs, but lies at the heart of our new fields of business that are spreading to the areas of industry and living. To accomplish that end, Mitsuba creates technologies that harmonize with society and the environment. For the realization of the concept of “pleasure and peace of mind,” Mitsuba will originate new technologies that accommodate the diverse values people hold and the progressing social systems, as well as harmonizes with nature and global environment. And the main actors are the people who love and support Mitsuba. Each and every Mitsuba employee works toward the fulfillment of the Mitsuba philosophy and participates in corporate activities as active agents. In addition, Mitsuba owes a lot to our customers, business partners, shareholders, and many others who are involved with Mitsuba for their support, which keeps us moving toward this goal. 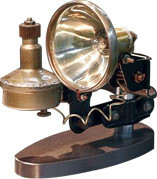 Around 1945, self-powered lamps for bicycles were all expensive foreign products. The founders, upon seeing this situation, decided to establish a new company and create original products that can compete on a global scale. They had a strong commitment to promote exports and to contribute to the country.